Given the rate things seem to be happening at the moment it seemed to useful to have a catch-up of notables that missed the earlier editions. Last February New Zealand re-established trade links with Iran after many years. Some trade had been taking place amounting to $151 mln in 2016 which surprisingly dropped to $121 mln in 2017, this was mostly in the form of butter. 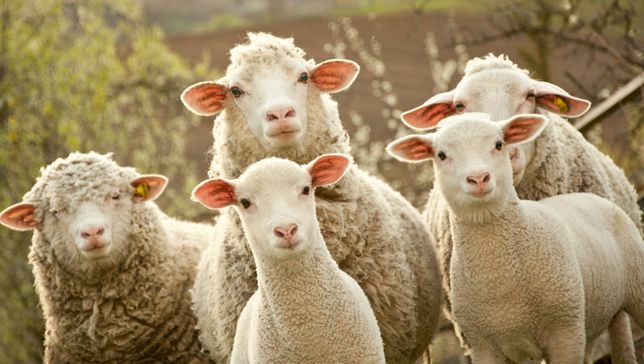 Back in the 1980’s, when New Zealand was desperate to find homes for both sheep and dairy products, Iran took over 25% of New Zealand sheep export. However after the revolution and a series of hostile governments to the West that trade all but evaporated. Fast forward to last year and on the back of Iran agreeing to not proceed with nuclear ambitions trade sanctions were lifted and a new agreement with New Zealand the outcome. Perhaps fortunately, with the strong demand for sheep meats coming from China and Europe processors have not had to devote too much product into this market, although Taylor Preston were mentioned as pursuing opportunities. Any further potential for sheep or dairy products are now at risk because of the US actions. The opportunity to export to Iran still currently exists, however, exporters run the risk of upsetting the US and as most exporters also export into the US and likely a far more valuable market. Putting that market at risk may be a step too far. European countries are still keen to see the current ‘treaty’ continue and unfortunately the US haven’t come up with a plan B so what theirs or indeed Iran’s next move will be is conjecture and adding to the already complicated world that is emerging since Donald Trump became US President. Mycoplasma Bovis refuses to go away and Damien O’Connor has put out a statement today (Thursday) warning that more farms than “previously expected” are likely to be affected by the disease. “As of close of play Wednesday 9 May, 38 farms were active infected places and another 40 were under Restricted Place Notice (i.e. considered highly likely to become infected). Nearly 1700 properties are of interest because of risk events such as animal movements, the supply of milk for animal feed or because they are adjacent to infected properties,” says Damien O’Connor. If this is correct then the Billion Dollar bill mooted earlier may come from compensating farmers for culling cattle rather than the additional MPI monitoring. Given that the increased numbers appear to be the result of NAIT tracking rather than milk testing, although the statement was a little unclear on this, it leads thinking to conclude that the infected animals are from young stock, potentially male and female and possibly in both Islands. Current legislation is that farmers should not be out of pocket for complying with MPI requirements and so full compensation should be assured. However, the disruption and certainty continues and with “nearly 1,700 farms of interest” controlling herd movements with the end of season transfers to new grazing and farms almost upon us the risks are only going to increase. Some definitive leadership is required as it feels like we are constantly reacting to new information with no real pathway forward. The 'NZ average' chart will be drawn here. The 'NI average' chart will be drawn here. The 'SI average' chart will be drawn here. C/O I also see we have moved from eradication to containment. from 130 farms on lock down to 260 ish. Looks like we have lost this one so lets stop wasting money. The only recent arrival is the process of looking for it! Least we know dealing with emissions is no problem. There are a lot of dots. Kaitaia to Bluff, East Cape to West Coast, when do you call it? identified as at risk through the tracing of animal movements. Totally underfunded ballsup. So we are a blue dot. From a month ago and havnt heard from MPI since. We got the animal in question from a calf rearer in the King Country. The day I got an email to say we are tracking a heifer I had bought, this farmer I had bought it off sold a big bunch of steers at the TeKuiti sale. The MPI bloke I spoke to called this farmer a 'person of interest'. Yet they could send stock to the sale. Crazee. If only mpi could be so accommdating in paying out compensation! Henry, I was discussing mbovis with a rellie. He has a reasonably big dairy farm. He was straight up. Both of his vials of milk sent for testing came from the good vat. I was a little shocked. But why not. No sense launching yourself into bankruptcy is there? As loud as MPI yell Nait hasnt worked, the fact they havnt paid out these farmers is deafening. Latest email from Tim Mackle would suggest Dairynz are pretty pissed with MPI.